There are total 5 secrets factors of Game Design. Amazement & Eureka factor:In order to achieve long term success amazement(surprise) & Eureka(wonder) factor plays and important role. This factor help players to create an emotional connection with your game. Once you have succeed in this factor players keeps on coming back for more, which leads to more profit. Emotion and Rewards: When you add emotion and reward to the game then which provide an interactive user experience that become memorable. Players are so excited to explore or beat their previous score to see what rewards or special bonus is awaiting ahead. You can provide emotions by using sound effects, background music, character expressions, text, movement, color combination which can really helps player connect and get into your game. More Surprises: You can add different unlockable characters, items, give them animated actions, effects & unique expressions that play into your game design. While clearing a level we can provide next stage teaser animated sequence image in order to excite player. More Wonders via Power-ups: Power-ups plays a very important role. Nintendo’s super mario run masterfully used power-ups to add surprise & wonder into their gameplay. Mushroom Power- normal player become super player etc. Character Size: As per user prospective gameplay is more important as compared to character size. Size of the character should be proportional to the scene and background. Game Universal Law: Make universal law which works throughout the game. Pick one art style and try to use colour combination and mix them together to achieve decent look and feel. As per colour principle rule is to keep 60-30-10 ratio. 60% —> Color goes in background, 30%–> Colour used in specific objects, 10%–>Buttons, small items, objects. Gameplay Familiarity: Familiarity factor is another vital part of game design. Like Super Mario–> is not 1st Platformer game. Call of Duty –> is not 1st first person shooter game. Angry Bird –> is not 1st Slingslot game. All these three game player know the core mechanics. So we need to make the game that is unique but familiar with Model and Improve Technique. 3 steps a. Do research. b. Examine the app store and list top chart game. c. How to improve in terms of features or elements. Gameplay Balance: We need to create a gameplay with prefect balance of difficulty, challenge & enjoyment. The goal is to design your game to be somewhere in middle which is perfect balance of excitement which will keep your player engaged longer. Game Creator focus not to create game too easy so that it become boring or too difficult that is not fun to play. 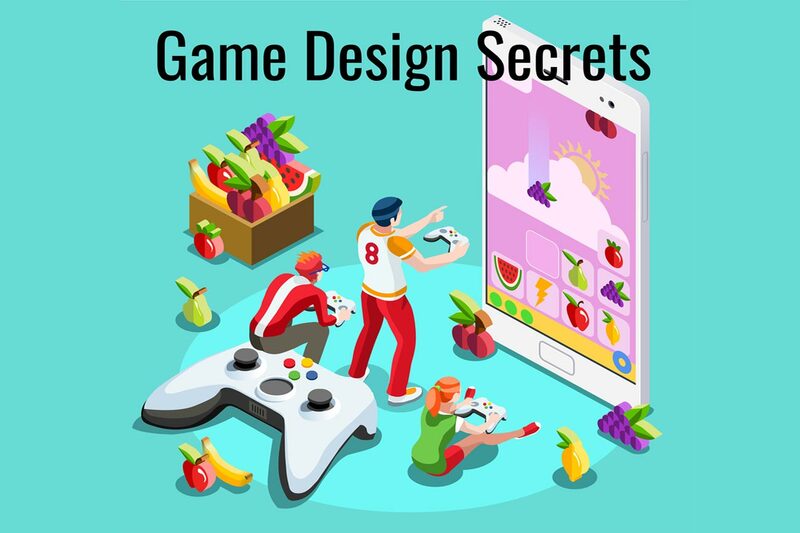 All 5 Secrets are the key to solid game design and secret of success.